Opening hours: Open to the public from 10:30 am to either 4:30 pm or 5:00 pm. You might want to check out the online schedule if the place is open during the day you want to visit it. There are houses that had their share of ups and downs. In the case of Sutton House in London, the ups and downs are even more pronounced. It was originally a beautiful red brick building that rose during the Tudor period. In the 1980s, however, it also experienced being squatted upon. At that time, Sutton House was called the Blue House and was then used as a social centre and music venue. The building was in desperate decline during this period and was fortunately rescued by the Save Sutton House campaign in March 1987. Renovations were performed and lasted until 1992. In 1994, the house was opened to the public. Today, Sutton House has the multiple roles of museum, book shop, café and art gallery. It even houses an educational program within its premises. The house’s rise from its fall was received well. Both its interiors and exteriors were featured in the two-part TV feature adaptation of Terry Pratchett’s Hogfather. The house had also been investigated for the TV show “Most Haunted”. 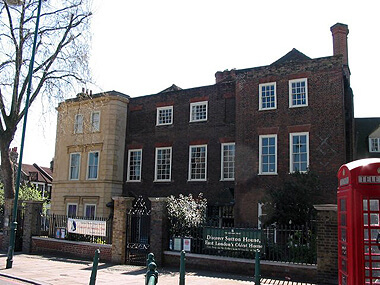 The Tudor mansion is located in Hackney, London, where it is the oldest surviving residential building. 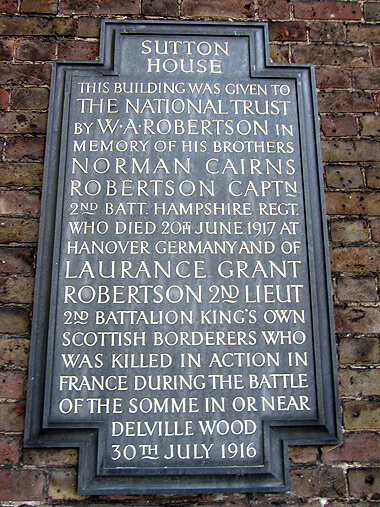 It is a National Trust property, which means that is historic importance had been duly noted. When it was built in 1535, it carried the name ‘Bryck Place’. Henry VIII’s Principal Secretary of State, Sir Ralph Sadleir had the house built. It was a unique specimen of a house, being a red brick Tudor building. Sutton House had become the home of various types of people from merchants to sea captains, and from schoolmistresses to the Edwardian clergy. It remained true to its original appearance though the front was altered during the Georgian period. Its name, however, is a misappropriation because Thomas Sutton was another well-known resident of Hackney who founded the Charterhouse School. If you are in East London, you might want to be surprised by a visit to Sutton House. The National Trust property’s facilities are open to the public from 10:30 am to either 4:30 pm or 5:00 pm. You might want to check out the online schedule if the place is open during the day you want to visit it. Sutton House has been set up in such a way that it is very family-friendly. There are even places in which you can change your child’s nappy, for example. It is good to see that the Tudor mansion has managed to rise from its brief descent into destruction.